Just a few months ago, we published our most comprehensive look ever at Avid Pro Tools (read Pro Tools (Part 1) here), which explored everything that makes it such a compelling platform on which to base your recording studio. Despite numerous excellent alternatives in the market, it remains the studio standard platform for recording and mixing because nothing else mirrors working in the analog domain quite the same—and it remains the primary DAW platform in most of our team’s studios, too. But all is certainly never perfect, and there are features that pros have been clamoring for for years. Fortunately, Avid has become quite nimble at producing updates (we highly recommend switching to the subscription license model, which includes the All Access upgrade plan, bills monthly, and keeps you up-to-date all the time), and the latest revision, version 12.4 as of this writing, has added at least two features that are so significant from the time-saving perspective that you’re going to scream for joy (just like when offline bounce was introduced): Track Freeze, which automates printing plug-ins so that you can easily collaborate on sessions with other artists and engineers who don’t have your plug-ins in their studios (not to mention reduce the CPU resources needed when taking your session mobile, and Clip Transparency, which makes your waveforms appear translucent in the Edit window as soon as one region overlaps another. It’s never been so easy to eyeball moving clips around on the fly! And, Avid is bundling more of their fantastic plug-ins than ever before, making your recording and music production tasks even better right out of the virtual box. 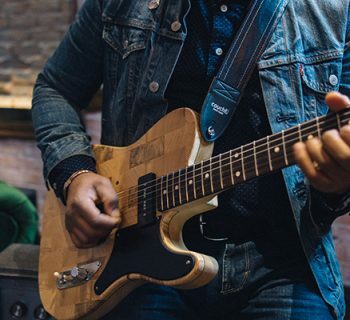 There’s plenty of other new stuff to get excited about (read on, friends), and more features from Pro Tools | HD continue to make their way into the standard Pro Tools software. Our only frustration: Pro Tools | HD hasn’t moved to the monthly subscription model like the standard edition. In short, our favorite DAW keeps on getting better. If only our engineering skills advanced so rapidly! Please read our in-depth review of Pro Tools (Part 1) if you’re unfamiliar with using this DAW, or you stopped upgrading at versions 8 or 9 (which are so out of touch with the current product that you can’t fathom how much the software has evolved). The already massive feature set in Pro Tools has gotten bigger, and here are the highlights on tap with Pro Tools 12 today. Track Freeze and Track Commit: Pro Tools has finally implemented this essential feature, which automates printing effects in your session. The benefits are two-fold: first, when sharing a session with other collaborators, they don’t need to have the same plug-ins you use in order to hear your tracks playing back properly, and second, effects that have been printed to audio draw far less CPU power to playback, so you can work with large session files more easily on slower computers and laptops (handy for live use). But the feature goes further than that, as track freezing is not just about effects plug-ins. You can freeze all of your soft-synths and virtual instrument plug-ins, too. 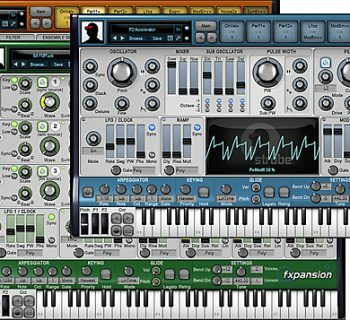 Freeze is great when you’re running sessions with tracks that have big, CPU-hungry plug-ins. Freeze gives you a quick, easy way to click a button and instantly turn your virtual instrument or highly processed audio track into an audio track that doesn’t rely on plug-ins, removing the big CPU drain. If you need to make changes to settings on the plug-ins, you can just as easily click a button to unfreeze. Note that Track Freeze works on the existing track. No extra tracks are created in the session. It’s great to use when collaborating with other people who don’t have your plug-ins. Share frozen tracks with them. Track Commit is closely related and lets you bounce entire tracks or selected regions in place or to new tracks. It’s useful when you have to deliver stems to another studio, or perhaps when you’re ready to archive a session for posterity (in case your fancy plug-ins don’t exist a decade from now when you re-open your old session file in Pro Tools v27). You can select tracks or auxs, and Track Commit automatically creates new tracks with the processed audio. It has a wide range of customization options, whether you want to overwrite the data on your source track/aux, or have it automatically disable/hide the source track after committing. Another use: Maybe you want to deliver a “finished” session file to the major label and not reveal the details of your audio processing. Commit the tracks in that session and don’t hand over your secret sauce! Clip Transparency: This is a huge time saver for anyone who frequently finds themselves moving audio regions around on a track. You no longer need to carefully delete the dead space at the start of an audio region before aligning it elsewhere on a track because now, you can see both waveforms as you overlay one audio region on top of an adjacent region. VCA Master Tracks: This extremely useful Pro Tools | HD feature has finally moved down the food chain to the standard Pro Tools edition. VCA Master Tracks behave like VCA faders in the analog world, and their purpose is to simplify the control of volume levels across multiple tracks. The beauty of VCAs is that they control track groups without ever having to change the output/bus assignments of your tracks. So, you can still bus signals from your audio tracks to aux busses with effects, but group your like tracks and assign them to a VCA fader for volume automation and easy soloing/muting as needed. We’ll go into greater detail in Usability, but if you haven’t mixed with VCAs, you’ll be amazing at how useful they can be, and how much better suited they are to certain tasks than your aux groups. Advanced Metering: Pro Tools | HD has offered numerous metering options, and now they are all available in Pro Tools 12, too. The gain reduction meters are very useful, and while you may have seen the reduction meters for your compressors back in Pro Tools 11, you can now see send and insert level meters, too. Meter response can be customized, too, for things like holding the peak level or the clip level infinitely (or for just a few seconds). And speaking of metering, Pro Tools 12 finally offers Input Monitoring! You no longer have to record enable tracks to see what’s happening with input signals. Thank you! More tracks and busses: Pro Tools 12 now supports playback of up to 128 tracks of audio and 512 instrument tracks. You’re still limited to tracking only thirty-two inputs at a time before needing to make the jump to Pro Tools | HD, but this shouldn’t impact the majority of users. As for those busses… Pro Tools 12 now provides an unlimited number of busses. Improved Input/Output Options: Time for some more rejoicing. The I/O Settings section of Pro Tools has been completely revamped, now separating out I/O hardware settings (physical) from I/O session settings (virtual). In the past, every time you moved a session from one host (computer) to another, it picked up all of that environments’ settings, which made confusing work getting your session back up and running in your primary studio if you didn’t develop a good system for exporting and importing your I/O settings. Now, all of your bus settings live within the saved session file, so when you move a session from your studio to your guest collaborator’s studio, none of your bussing gets messed up. Pro Tools now intelligently maps your session file’s signal routing to the hardware that is available in the new host… without changing anything permanently! Part of what makes this work so smoothly—newly added to the Session I/O dialog box is a setting for Monitor Path. Here, you define your primary output listening hardware and any busses in your session that are assigned to your monitor path automatically map to the monitor path of whatever output is being used in the guest studio to which you’ve sent your files for collaboration. With automatic downmixing, you can take a soundtrack score that you’re mixing in 5.1, share it with a guest guitarist working in two-track stereo in his/her studio, and s/he will hear everything played back properly (relatively speaking) on their machine. Then, when they ship the session back to you, all of your 5.1 settings are restored automatically, unmodified. Happy dance! As for those times when you do something experimental to your studio gear and you mess up your routings? There are now options in the Session I/O dialog box to show the Last Saved Setup (as in, the I/O settings you were using successfully the last time you saved your session file) and an accompanying button to Restore from Session. Now that Pro Tools is doing a much better job leaving your audio paths intact, there’s never been a better time to finally label all of your inputs and outputs more specifically with your studio’s configuration! Here's an in-depth look at configuring the new I/O settings from Avid's website. Disk Cache: Does anyone else remember the days of loading content into RAM drives to enhance the performance of your computer? Well, now Pro Tools lets you allocate a portion of your computer’s RAM in which to load session data for faster access, enabling you to run large session files off of slower hard drives. This feature is not too essential in the project studio because if you’ve got a ton of RAM in your computer, you probably also have 7500rpm hard drives or blazingly fast SSD drives (and if you don’t… well, you should). But where it does help: this feature makes it possible to work with sessions running off of USB drives and network drives, and still get acceptable performance. Fading Away: Sometimes it’s the little things, like batch processing of fades across hundreds of regions in a huge session. Not only that, but you can customize the fades just the way you like them. More Plug-ins: We love the subscription model for Pro Tools, which now includes enough plug-ins to feel like you’re giving Logic Pro a run for the money (except that here we’re feeling more quality vs. quantity). Sixteen stompbox effect pedal emulations have been added, useful both for your guitar tracks as well as whenever the mood to experiment strikes. Some of the emulations include the Pro Co Rat, Ibanez Tube Screamer, Cry Baby wah, and more. Also included is Space, a new convolution reverb (not to be confused with Eventide’s Blackhole plug-in, based on their Space pedal). The Eleven Free plug-in is included, too. 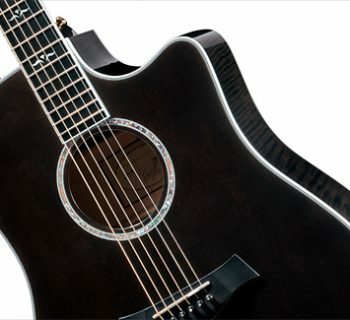 This is a scaled-down version of the popular guitar amplifier modeler plug-in. Pro Tools 12 also includes some great virtual instruments from the AIR group including the Boom drum machine, DB-33 tonewheel organ, Mini Grand acoustic piano, Structure Free sampler, Vacuum (a monophonic, tube-based, synth), and Xpand! 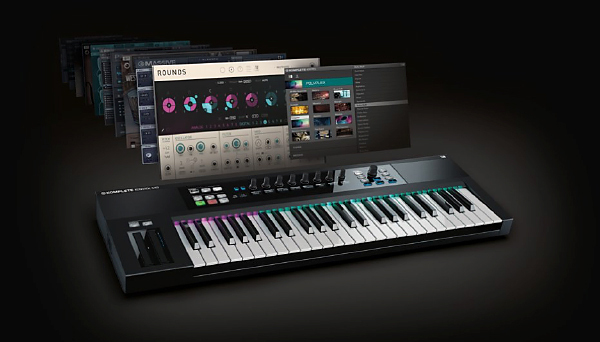 2, a fantastic sounding, modern digital and sample-based synthesizer. The new remote collaboration features, Avid Cloud Collaboration for Pro Tools, are forthcoming, but not available yet. We'll take a detailed look at this once the capability rolls out later in 2016. Pro Tools remains one of the most straightforward to operate, digital audio workstations on the market. You can mix by mouse, use any number of control surfaces, or even use Avid’s free iPad application to augment your other interfaces. Some of the new features in Pro Tools 12 have really expedited our workflow. Track Freeze and Clip Transparency are major time savers for anyone in need of these features. It became significantly easier for us to share session files with remote collaborators, ensuring that they would hear our sessions-in-progress with all of our sonic mayhem in place. The end result is more inspired performances from our collaborators. Finally, we’re loosing much less time troubleshooting messed up bussing thanks to the improved Session I/O settings. For everyone who forgot to turn on their audio interface before opening a session file (you mean we’re the only ones who do this sometimes? ), sleep well. There’s no longer any harm done! Quit Pro Tools, turn on your interface, re-launch. Thank you! Having access to VCA Master Tracks in Pro Tools 12 is fantastic, and this should change how many musicians/engineers work in their project studios. Since many musicians aren’t very familiar with the use of VCAs, here’s what we did that should make it clear how they are different from your typical aux busses: In a session with ten tracks of drum mics, we first used an aux bus on each of the drums tracks’ sends to set up a room reverb and to apply an analog-style bus compressor. We then created a group containing all of our drum tracks, and next created a VCA for the drums. On a VCA track, there are no I/O assignments. Instead, you select a group to assign, so we chose our Drums group, whose behavior was now changed from the groups you normally use. Now, the VCA fader controlled the overall level of our drums in the mix, and we could still adjust the individual track levels for specific drum mics without affecting any of our automation… and without having to hold a modifier key to isolate the individual track from the group! This also made soloing and muting a much simpler affair, too. To mute or solo the entire drums group, you simply mute/solo the VCA track. To mute or solo individual drum tracks in the group, you just click on those individual tracks. 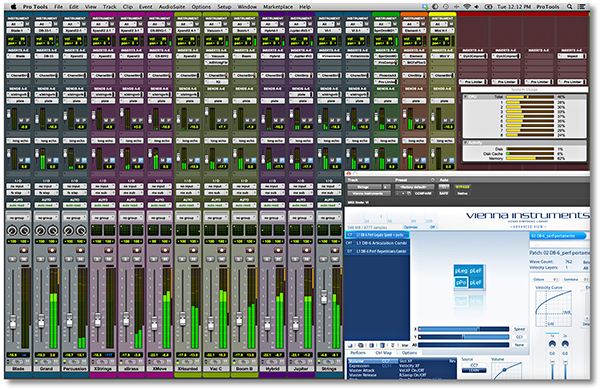 Our in-depth Pro Tools (Part 1) review provides a full overview of the DAW’s operation. Pro Tools sounds as good as what you put into it. We track through a wide variety of preamps, mixers, and computer interfaces, and Pro Tools retains its excellent audio fidelity. Please see our Pro Tools (Part 1) review for a full overview of the DAW’s sonics and to learn about our experience using many of Avid’s bundled plug-ins. Pro Tools has a great manual (Pro Tools Reference Guide) that can be accessed directly from within the program. As with most software these days, a giant printed book is no longer the norm, which is great for some of us, and annoying to others (definitely can’t please everyone on this point). In addition to the manual, Pro Tools also has a Shortcuts Guide that shows all of the keyboard shortcuts. This is really useful to dive into when you’re first starting out, as the keyboard shortcuts make your workflow super-fast. Avid has an extensive Knowledge Base and active support community on their website. Pricing has gotten a bit tricky with the latest release of Pro Tools as you now have options to either purchase the software in familiar style or pay as you go with a monthly subscription. For a straight purchase, non-upgrade, Avid Pro Tools 12 currently sells for $599, while upgrades from Pro Tools 9, 10, Express, or M-Powered cost either $299 and include one year’s worth of free upgrades. After that, you can renew for $99 annually. If you don’t have $599 to lay out up front, there is a much better deal to be had: For $24.92 per month on an annual contract, you can get a Pro Tools subscription license, and all upgrades are immediately available as they are released ($29.99 lets you pay monthly without a contract, useful for people who don’t need to use Pro Tools during the eight months of the year they are on the road touring). College students and teachers qualify to purchase the product at a significant educational discount, so if you fall into one of these groups, the deals are significantly better. A scaled-down version of the program, Pro Tools First, is free. Its functionality is limited to managing three sessions files, which are all hosted in Avid’s cloud environment online (and then you can pay extra if you want to work on additional sessions). It’s a nice way for newcomers to get to know Pro Tools without having to work under the stress of a traditional 30-day trial that expires just when you finally get around to finishing up your recording. Our only frustration has to do with the pricing for Pro Tools | HD. With so few differences remaining between Pro Tools | HD and Pro Tools (see link below for version comparisons), the $399 annual upgrade price is a bitter pill to swallow for many professional engineers who are merely using the HD version of Pro Tools because of their commitment to Avid’s excellent DSP cards and hardware interfaces. More frustrating is the fact that there is no monthly subscription model offered yet. With so many great hardware alternatives to Avid’s line of interfaces and DSP cards readily available to work with Pro Tools 12, we think Avid should do everything possible to encourage keeping the faithful pros happy with their commitment to the HD platform, and that starts with bringing the pricing and monthly licensing more in line with the non-HD product.